I’m Jenneffer Vazquez, but you can call me Jenne. I am a mother, birth doula, essential oil wellness advocate and storytelling photographer. I grew up in Southern California where I am lucky to call home again after a three year visit in the East Coast. I love to travel from coast to coast capturing quirky, fun, adventurous people just like you! Creating Art and keeping memories is a way of life for me. I’m a Mother to two sweet little boys (Peanut & Bean) that always keep me on my toes, I blog about them on my personal blog www.OurKinStory.com. My greatest joys are witnessing the love of two newly united souls or seeing delight upon a child’s face, especially one that has just received the breath of life. I’m a sucker for emotion, natural moments, belly laughs and lots of kissing! Community conscious and very spiritual, I believe that what we have is given to us to share with humanity and gratitude is the key to happiness. I can chat you up about yoga, running, sushi and dark chocolate. I grew up in Orange County, speak three languages if you count Spanglish and I always root for the underdog, because I love to see the little guy triumph! I started photography in 2011 and my health and fitness journey on and off since having my first born in 2009. I love all my clients and find they often become my friends! They are generous, kind and fun loving, not afraid to let a big belly laugh belt out, let the kids run, get a little dirty, play and dance! 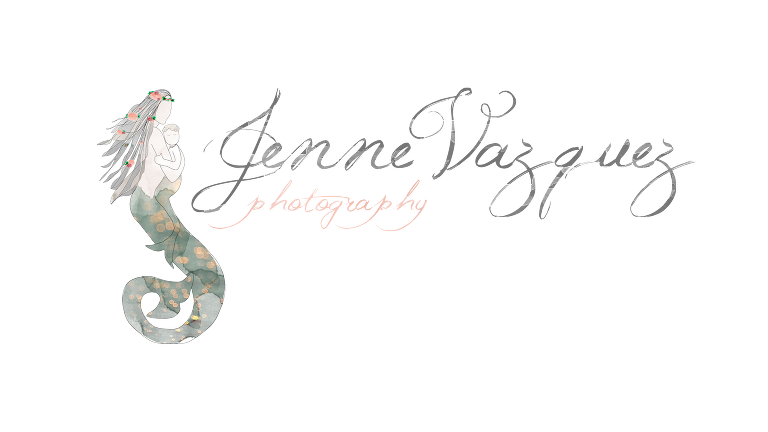 I’m Jenne Vazquez, a mother, birth doula, wellness advocate and storytelling photographer! I am from Southern California where I am lucky to call home again after a three year visit in the East Coast. I love to travel from coast to coast capturing quirky, fun, adventurous people just like you! Creating Art and keeping memories is a way of life for me. I’m a Mother to two sweet little boys (Peanut & Bean) that always keep me on my toes, I blog about them on my personal blog www.OurKinStory.com. My greatest joys are witnessing the love of two newly united souls or seeing delight upon a child’s face, especially one that has just received the breath of life. I’m a sucker for emotion, natural moments, belly laughs and lots of kissing! Community conscious and very spiritual, I believe that what we have is given to us to share with humanity and gratitude is the key to happiness. I can chat you up about yoga, running, sushi and dark chocolate. I grew up in Orange County, speak three languages if you count Spanglish and I always root for the underdog, because I love to see the little guy triumph! I started photography in 2011 and my health and fitness journey on and off since having my first born in 2009. I love all my clients and find they often become my friends! They are generous, kind and fun loving, not afraid to let a big belly laugh belt out, let the kids run, get a little dirty, play and dance! the following are a of the first videos I filmed, they not perfect but its us, our life, and that’s imperfectly beautiful! I love, no LOVE what I do and I would love to do it for YOU! Jenneffer Vazquez graduated from the New York Institute of Photography in 2013. She is a Proud Member of the International Association of Professional Birth Photographers and the Professional Photographers of America (PPA) . She has also been featured on various photography blogs. Jenne’s work has been published in Fredericksburg Parent Magazine, Coastal Carolina and Operation Wedding Day 2014. I am getting married June 14, 2014 and I’m shopping around for wedding photographers. Do you have some free time to chat with me?